Are you looking for the perfect breakfast recipe to kickstart your metabolism and burn some fat? Consider amplifying your morning eggs with a hint of basil. Revered as the "holy herb," basil's antibacterial properties have been used to treat everything from the common cold and fever to respiratory disorders, kidney stones, and bronchitis and sinus infections. Its high magnesium content also makes basil key to improved blood flow. Beat eggs and pour them in a heated skillet. 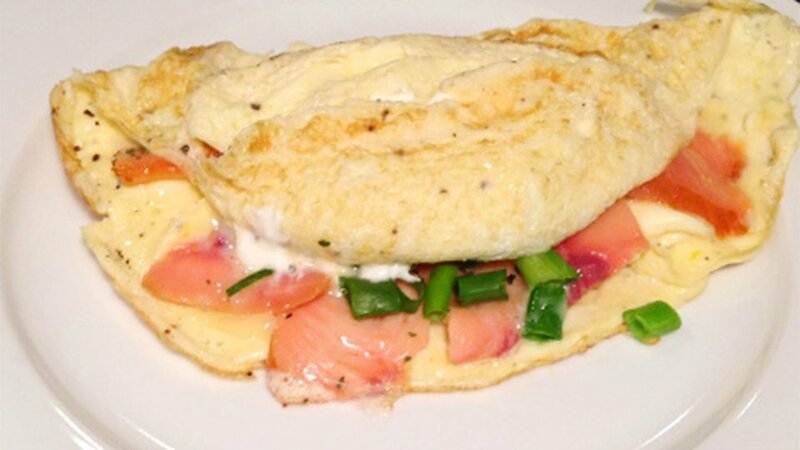 When the omelet hardens, place salmon on top. Top salmon with sour cream and sprinkle with basil, scallion, parsley, and pepper. Fold in half and cook until done.